Classic heist movie with two great lead actors. Although the plot is very small in this movie (get in, steal something, get back out), and there are no big surprises or interesting twists, you are hooked all the way through the movie due to two very talented actors. I have always been a big fan of Robert De Niro and his strong, calm personality is just perfect for the part as the hardy heist specialist Nick Wells. I also like Edward Norton quite a bit, and he does his part well here, but I cannot help getting annoyed by his character Jack Teller. I guess that is just good acting. One actor I was highly disappointed of was Marlon Brando. Despite being a gangster boss (which he, if any, should have quite some experience in playing), he just came off as an old puff. He was the only actor to speak any proper french though. The worst part of the movie was when Jack Teller was waiting/hesitating (trying to avoid spoilers here). Why did he do that? It made no sense to me. 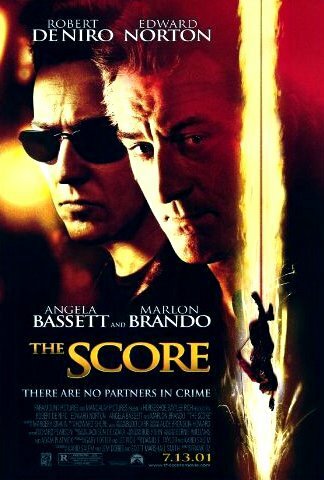 If you like heist movies, this is a classic, if you like Robert De Niro this is not half bad.